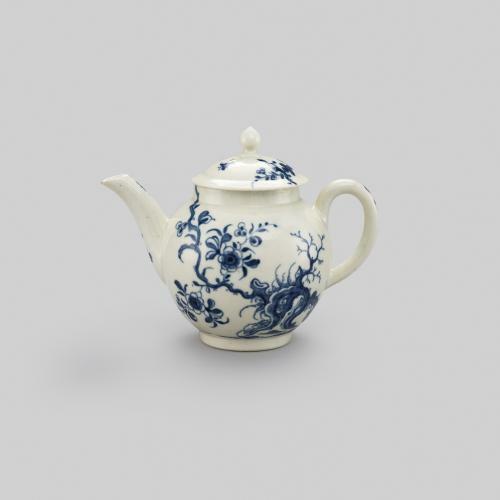 This teapot was made by the Caughley porcelain factory, which was founded ca. 1775 by Thomas Turner by the extension of a pre-existing pottery. The Caughley factory specialised in the production of soft-paste porcelain, the majority of which was decorated in underglaze blue enamels. 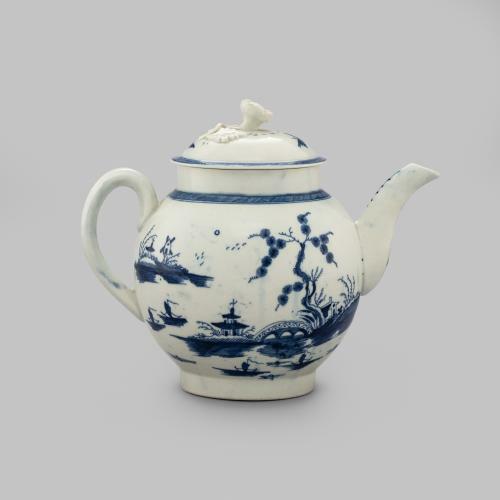 This teapot has been decorated with the ‘Bridge and Windmill’ pattern which depicts a Chinese landscape including a humpback bridge and a windmill. 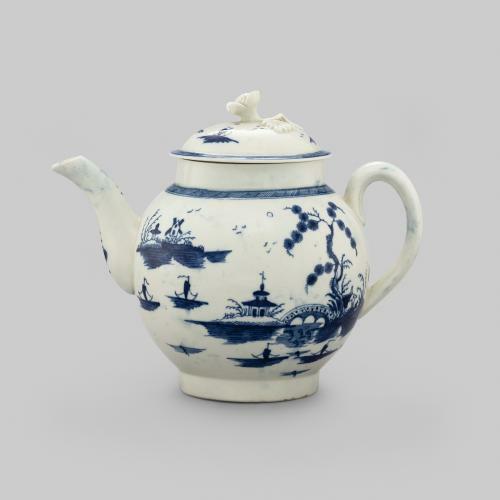 The pattern is uncommon on Caughley wares but is unique to the factory. 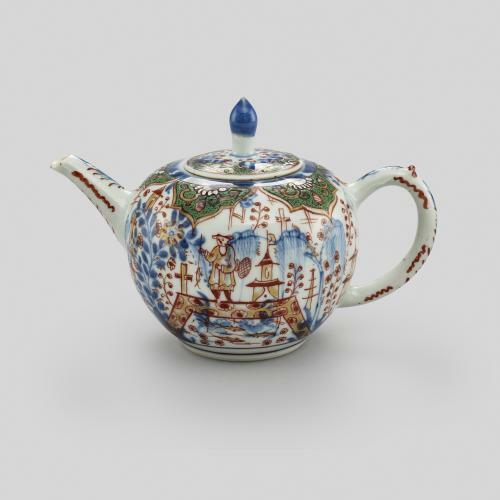 This teapot was exhibited in the Caughley Bicentenary Exhibition, Ironbridge 1999.